Disulfiram is a prescription medication used almost exclusively to treat alcoholism. A person who takes this medication develops an acute sensitivity to alcohol and experiences unpleasant side effects when he or she consumes alcohol. After the detoxification process, the disulfiram addiction treatment medication is often prescribed to aid the alcoholic with maintaining his or her sobriety. If you or someone you love has an addiction to alcohol and need help finding a disulfiram rehab center, call our toll-free confidential helpline at 1-888-287-0471	Who Answers? or email us for a referral. Disulfiram was discovered in the 1920s, but its effectiveness in preventing alcohol consumption was not realized until 1948. Furthermore, the discovery was accidental. Workers at Medicinalco, a Danish drug company, were testing the substance on themselves to study its effects on a parasitic infestation. However, they began exhibiting severe symptoms after consuming alcohol. A study involving 180 patients and conducted over nine years found that incorporating the disulfiram addiction treatment medication and calcium carbimide into a treatment program for alcoholism produced an abstinence rate of over 50 percent. “…disulfiram addiction treatment medication and calcium carbimide into a treatment program for alcoholism produced an abstinence rate of over 50 percent.” The effectiveness of disulfiram requires patient compliance with taking the drug as prescribed. One disadvantage of disulfiram addiction treatment medication is that it does not eliminate or reduce cravings for alcohol. The drug compliance rate outside of the controlled setting of a treatment program is poor for people who take the drug orally. A 1986 study found that the abstinence rate for people who took the drug was about the same as for people who only received counseling because only 20 percent of the people taking the medication maintained the drug regimen. To increase compliance, other methods of drug delivery are being studied, including the use of subdermal implants that would continuously release doses of the drug into the body over the course of 12 weeks. Supervised administration of the drug is also a method under consideration. Disulfiram is sold under the brand names Antabuse in the United States and Antabus in other countries. The disufiram addiction treatment medication works by preventing the breakdown of alcohol in the liver. The liver contains an enzyme called alcohol dehydrogenase (ADH). This enzyme converts dehydrogenase to acetaldehyde, which is then converted to acetic acid. These symptoms can last for 30 minutes to several hours. The drug is absorbed and eliminated by the body at such a slow rate that the initial dose may continue to induce an adverse reaction to alcohol for up to two weeks. Additionally, the body does not build a tolerance to the drug. The effects of the drug become stronger the longer it is taken. Disulfiram prevents the breakdown of the neurotransmitter dopamine. Because cocaine stimulates the release of dopamine in the brain, the drug is currently being studied as a possible treatment for cocaine addiction. 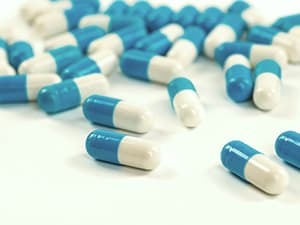 It is also being evaluated for use in cancer therapy. Disulfiram addiction treatment medication can help a person maintain his or her sobriety. However, the person needs to first seek treatment for his or her alcohol addiction. Unfortunately, many people who have an addiction to alcohol may not realize or may find it difficult to admit they have a problem. In many cases, an intervention is necessary to make the person understand the harmful effects of his or her alcohol consumption and submit to treatment. Many alcohol treatment centers can provide assistance with staging an intervention. To locate an alcohol rehab facility that uses disulfiram addiction treatment medication or can help with an intervention, call our confidential hotline at 1-888-287-0471	Who Answers? . Not every person who is addicted to alcohol experiences a reduction in his or her performance. Some people are able to excel in life despite their drinking problems. These people are called high-functioning alcoholics and account for 19.5 percent of the total number of alcoholics in the United States. Because they do not fit the stereotype, it is easier for high-functioning alcoholics and the people in their social network to deny that they have an alcohol problem. The reality is that they can benefit greatly from entering an alcohol rehab center that uses disulfiram addiction treatment medication to promote abstinence. There are numerous dangers to abusing alcohol. One major problem associated with alcohol abuse is the health complications that can arise. People who abuse alcohol over a long period of time put themselves at risk for liver disease. Alcohol can cause the liver to swell and become inflamed. If alcohol abuse continues, this can lead to cirrhosis of the liver and eventually liver failure. Chronic alcohol abuse can also ruin the person’s relationships with others. Many people say and do things while under the influence of alcohol that they would not do while sober. Alcohol dependence can cause a person to break promises, lie to friends and family, and even commit crimes. Alcohol lowers inhibitions, and people are more likely to be sexually irresponsible while under the influence, which can lead to unwanted pregnancies and the contraction of sexually transmitted diseases. To avoid the dangers of misusing alcohol, it is important to seek treatment for alcohol abuse or addiction as soon as you realize there is a problem. We can help you find an alcohol treatment center near you. Call our toll-free helpline at 1-888-287-0471	Who Answers? , 24 hours a day to find a rehab facility that uses disulfiram addiction treatment medication as part of the treatment process. According to the Center for Disease Control, the average drunk driver will drive intoxicated at least 80 times before his or her first DUI arrest. Disulfiram is prescribed after the person has completed the detoxification process. The purpose of the medication is to create an aversion to drinking, which can prevent a relapse into alcohol abuse. The person may be first given disulfiram addiction treatment medication while in the alcohol rehab facility and then given a prescription for the drug after he or she checks out of the treatment center. Compliance on the part of the person is required. Therefore, he or she may be counseled about the importance of continuing the drug regimen after completing the alcohol treatment program. Depending on the circumstances surrounding the person’s admission to the alcohol rehab center, he or she may be required to have someone monitor his or her consumption of the medication to ensure compliance. Although disulfiram is effective at preventing alcohol consumption, use of the drug has declined slightly in recent years in favor of newer drugs like naltrexone and acamprosate. In combination, these drugs have the same effect as disulfiram addiction treatment medication but may also address the physiological components in the brain related to alcohol abuse. The person will generally be given medication to help alleviate some of the symptoms of alcohol withdrawal. For example, phenobarbital is sometimes prescribed to prevent seizures in at-risk patients. “…quitting cold turkey, this is the quickest method for achieving sobriety.” The most common detoxification method is to have the person immediately cease consuming alcohol. Commonly known as quitting cold turkey, this is the quickest method for achieving sobriety. An alternative method is to steadily reduce the amount of alcohol consumed until complete abstinence is achieved. It is best to talk to the addiction treatment specialist to determine which method is right for you and if you should use disulfiram addiction treatment medication after you have undergone detoxification. Although disulfiram addiction treatment medication does not cause a physical addiction, it may be possible to develop a psychological dependence on the medication. This may arise out of a fear of relapsing back into alcohol abuse or addiction. If you find that you are exhibiting the psychological signs of addiction with disulfiram, then it is best to seek counseling or therapy to overcome this problem. Treatment for this type of addiction will generally involve ceasing use of the medication and using cognitive-behavior techniques to alter behavior. There are many disulfiram rehab centers that use disulfiram addiction treatment medication to treat alcohol abuse and addiction. The best way to find a treatment center is to call our confidential helpline at 1-888-287-0471	Who Answers? for a referral. Our knowledgeable staff can answer your questions about alcohol addiction treatment and refer you to an alcohol rehab center that best fits your needs. The Internet is another convenient way to find a rehab center. A simple search on Google or Bing can uncover thousands of listings for alcohol addiction treatment centers. Before signing up for a program, thoroughly research the center to make sure it is a reputable facility. Don’t be afraid to ask questions. You need to make sure you will be getting the care and treatment you need to overcome your addiction to alcohol. With the help of disulfiram addiction treatment medication and other therapies, you can overcome an addiction to alcohol. Don’t be afraid to reach out for help. There are people who have the knowledge and expertise needed to treat an addiction who are more than happy to help you reclaim your life. Call our toll-free hotline at 1-888-287-0471	Who Answers? to find an alcohol rehab center near you.